Jaime is a Madrid, Spain-based technology writer who writes about the Spanish startup ecosystem over at Novobrief. Editor’s note: This post, written by Jaime Novoa, was syndicated from Novobrief with his permission. 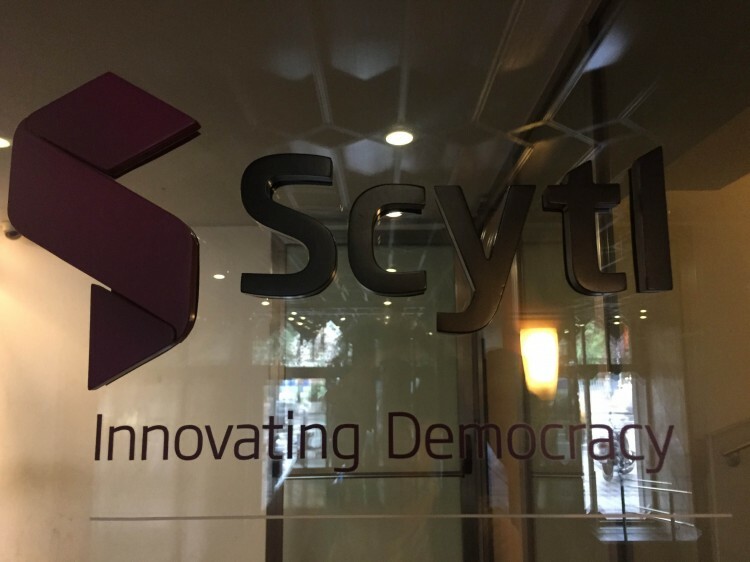 Innovating democracy is no easy task, but that’s precisely the main objective of Barcelona-based Scytl. The electronic voting company, which was founded in 2001 by the late Andreu Riera, has transformed itself into a global leader of electoral solutions under the leadership of Pere Valles. Valles joined in 2004 when the company was formed by 12 researchers and, as its CEO, it has grown its business and staff to $64 million in revenue, $24 million in profit (2013 figures) and 600 people, respectively. To know more about Scytl, which is planning to IPO on the Nasdaq in 2017, we recently sat down with Valles in the company’s offices in Barcelona for an hour-long conversation. Topics discussed include the development and growth of the company, how to sell software when your main client is the public sector, how to overcome the tragic loss of a founder and how to manage the culture of a company when you’re trying to IPO and when you’ve received more than $100 in venture capital. You’ve been here for over 10 years, how has the company changed since you joined? It has changed a lot. The company was born as a spin-off of the Universidad Autónoma de Barcelona (UAB), stemming from the work of a great group of researchers​​. When I came in 2004 it was a very scientific and academic-centric company, formed by cryptographers who for many years had been developing cryptographic protocols to provide security in electronic voting processes. They were 12 people. A small company with a very powerful technology and with a very ambitious objective, which was to transform a complex market like elections. Since we were small and from Barcelona, for a foreign government anywhere in the world to trust you and buy your solution, you need references. The commercialisation of the products at the very beginning, when you’re just starting, is complicated. We have clearly passed that stage and we are growing very fast, we have a staff of about 600 worldwide and 21 offices of which 7 are software development centres (Barcelona, ​​Athens, Toronto, Oklahoma, Tampa, Lima and Brasilia). The reason we have so many development centres is partly because we have grown through acquisitions. We’ve bought 6 companies in the past four years: two in Europe, three in the US, one in Canada and one in Brazil. Acquisitions that complement certain parts of your strategy and business? Initially we were an internet voting company, which we believe is the most disruptive technology in the electoral industry and the one that has the potential to change how we are going to vote in coming years. In internet voting we have a very dominant position. There are 21 countries in the world who are using internet voting in their elections in the public sector, and of those 21 countries, 19 are doing it with Scytl’s technology, so we could say we have a market share of 90% . What we did to expand and continue to grow is to develop an end-to-end solution that allows governments not only to automate the voting process, but also any processes within an election. The creation of the voter census, the management of that census, the management of the logistics of the election, the recruitment and training of all the people who have to be in the electoral center, consolidation of results, publication, etc. This product expansion was made in part through internal developments and via the acquisition of companies that already had the technologies we were looking for. Now we have a complete portfolio and end-to-end solution. For us this was an interesting strategy because although internet voting is probably the most disruptive of the technologies, it is also the most difficult to sell because it requires legislative changes and there is a fairly high risk perception by some governments. Therefore, when we want to enter a new country or market, what we do is start by offering one of our other solutions that is not as critical as voting, and from that point on sell more complex products. How many people worked at the company when you joined in 2004? We were 12. Almost all of the staff came from research and scientific backgrounds, but we were lucky to have a person who was outstanding, Andreu Riera, who died in 2006, who had the perfect mix of a strong technical mind but also very business oriented. Andreu was the original founder of Scytl, right? Andreu was part of the research group at UAB and in 2001 he founded Scytl because he saw that what they were doing at a university and academic level had a practical application and could become a business. The catalyst for this was what happened in the US elections of November 2000. He thought that if one of the leading democracies in the world went through such problems, it was the right time to start modernising voting systems. He had this vision; he was the founder of the company and he had an extraordinary mind when it came to building businesses. Scientists and business profiles are not easy to find. He was also a person who would have become a serial entrepreneur; he had great concerns, ideas and what he liked the most was to create new projects instead of making them grow. When I joined Scytl he already had in mind his next venture and I joined to professionalise the company and start selling our products. Short after I started, Switzerland ran the first elections where online voting was allowed and they chose us as their provider. And once you have a reference in the public sector, other governments find it easier to buy your solution because they are not the first ones to try. We are currently working with governments in 42 countries around the world with elections. In some countries at a national or federal level and in others at a more regional level, depending on the competences of each administration. Surprisingly, in a country like the US which is our main market, a presidential election is not managed by the federal government. Of the 50 states, there are 12 in which the elections are managed by the state itself, and in the remaining 38, counties take care of it. And each of those states and counties are clients or yours? Or do you work directly with the federal government? The counties and states are our clients. There are 3,200 counties in the US and 1,400 work with us, including important ones such as Los Angeles, Miami or Dallas. As for states, of the aforementioned 12, New York, Virginia, New Jersey, Alaska and some others are also clients. We have a very significant presence in the US but it is a very decentralised market that requires actions at a regional, federal and even local level. But this is not the same in all countries. For example in France we work with the Ministry of Interior and of Foreign Affairs because they are the ones who control and manage elections. A surprising thing about our company is that while for many technology companies the US and Europe account for 70 or 80% of their business, ours is an absolutely global one. We work with super developed countries like Canada, UK, France, the US, Norway and Australia, but we are also working in countries like India, Brazil, Nigeria or Bangladesh. This is an industry where there is a clear need for technology but those needs change from market to market. For example, in developing countries the main thing to solve are problems of electoral fraud and transparency, and where our technology is often used to prevent or mitigate the possibility of fraud. Election fraud does not occur during the election, but at the time when the polling stations close and in those boxes containing the ballots, when they are transferred to centres for counting purposes. The key for everything to work right is that the recount of ballots is done at the polling stations and controlled by observers, who can then complete the secure transmission of results in two or three hours to know who the winner is, thus avoiding the three weeks that it often takes in developing countries. And that is just one of the technologies we provide. Does the market understand these innovative solutions? Our sales system is not very complicated because our customers (governments) are very receptive when we talk to them. If you are the president of an electoral commission, if you are in a Home Office working on these processes or if you are associated in any way to them, you want to know what other countries are doing and what you can do to modernise your elections. Governments and parliament members often come to us, so getting a high-level meeting is relatively easy. What we do is present our credentials using references from other regions that are relevant for those countries (France to Spain, the Philippines, India or Bangladesh to Indonesia, etc) and the next step is to organise a work shop with them in which we both bring technical people to try to identify the major -and faster to solve- problems in that country’s electoral process. The key at this stage is to provide a quick win solution. It is a very consultative sales process, especially at the beginning. After that we enter into a negotiation and there is obviously a public tender, but if you get to that stage and you have a clear advantage over your competitors, you are in good shape. Given the nature of your clients I can imagine these are very long sale cycles. Yes they are, but we have an advantage over other industries in which sales process are also long: our clients are forced to buy. The worst thing you can have as a business is a client that maybe wants to buy your solution but is not in a hurry and negotiations can take months. But in our case there is an election, on a particular day, which forces the customer to accelerate negotiations and the whole buying process. That said, any business where the public sector is involved is slower than usual, so in general we face long sales cycles. It is not common to find large Spanish technology companies that have their origin in university spin-offs. Normally these spin-offs have very technical and research backgrounds but little commercial components. What was the process like of taking all that research and start selling it? In Spain there has been a boom of technology companies and today there are more startups than ever before. However, I believe that people talk about ‘technology startups’ in a very generic way, which means that companies that use the internet as a medium (for example ecommerce) are included in the conversation. These are technology companies that are relatively quick to create, and if you find your niche you can have a brutal, fast, immediate growth, but these tend not to have developed high entry barriers, which is why some grow and fall so quickly. They are companies that are difficult to defend and might even be vulnerable. These are internet companies, and I believe the vast majority in Spain have these characteristics. I don’t mean to say these are without merit and we shouldn’t celebrate them, because they are very important when it comes to attracting talent and creating new entrepreneurs. But then there’s also a group of technology companies where there is a very important scientific basis behind them and the business is kind of protected by patents and intellectual property. These businesses take longer to build and they need a lot of investment, but it has many advantages if you are able to establish yourself as a market leader. We started in 2001 but it wasn’t until 2004 that we started selling our technology. It’s a slower way of growing, but more sustainable and defensible, because you have intellectual property that gives you a competitive advantage in the market. This kind of companies may be less spectacular but in the end I think they are stronger. In Spain I believe we have more companies in the first category than in the second. Research in this country at a college and university level is good, but the key is in how that is transferred to the private and business sectors. In the case of Scytl all merit goes to Andreu Riera, which had the technical and business vision to make Scytl a big company. Do you think the fact that there’s less of the second kind of companies you mentioned is due to a lack of commercial or entrepreneurial spirit in universities? What I think is that it is very difficult to find people who combine these two aspects, research and business vision. I am optimistic because the opportunity cost of creating a technology company in 2004 was high, both for people from the business world and for researchers, but since then everything has changed dramatically and more people are willing to take the risk of creating new companies. Before you spoke of patents as barriers to entry. How important are patents for Scytl? There are areas where there are so many patents that is difficult to distinguish between them. There are many that are defensive and that do not provide much utility to the ecosystem or to society. I believe our case is different, especially because in our field when we started applying for patents there were none, so we could patent fairly broad things since there was no prior art. Those early patents have become powerful barriers of entry. Patents for us are critical and one of the aspects investors have paid special attention to. In the end it all depends on how you want to use your patents. Scytl has never ever sued anyone for patent infringement and we are not a litigious company. Does Scytl have much competition? This is a very fragmented market and in each country there is a company that has developed some kind of technology for electronic voting, so our competition has two main characteristics: it is very local and niche. We have 24 solutions covering the entire election process and our competitors tend to focus on a particular part of it. We are the only player in the market that has a global ambition and customers around the world and the only one with a complete product portfolio. Among the 24 solutions we sell, there are some niches where we are clear leaders and others where there is more competition, especially in those that have been heavily commoditised. This is the case for polling e-learning solutions. In an earlier interview you said that 20% of your budget is used in the development of electoral cryptography. What is electoral cryptography, exactly? The electoral market has a series of security challenges that are very specific to this sector and that are not easily found elsewhere. For example, if you are an ecommerce company what you have to do is to know very well the user that’s buying your product. We have to go even further: to identify the user but also to ensure voting is secret and to protect it from external forces and also from the system administrators themselves. So authentication becomes very important and this is in opposition to privacy, which is also very important in this field. Another distinguishing feature of this sector is that when you make an online transaction, for you as a user it is very easy to verify that the transaction has been done correctly. But when you vote via the Internet and you click, electoral cryptography becomes essential so that you can then check that your vote has been counted as yours and that it has been issued without compromising your privacy. The cryptography systems we have developed are specific to the needs that are found in this sector. Our competitors use more basic security systems and they are not as powerful as Scytl. And this is precisely the distinctive technology that we have been developing for over 15 years. You’ve grown from 12 to 600 people in 10 years. As CEO, how does one manage such explosive growth? It is difficult and there is always a sense of semi-controlled chaos. We’ve grown very fast and the company’s size has changed every year, you have new people, you also have people from acquired companies that need to be integrated and that they work in different regions, etc. We do our best, but the reality is that in this type of hyper-growth, there are many problems. Maybe from the outside it all looks quite idyllic and easy, but when you see it from the inside you find problems and challenges on a daily basis. In this kind of companies you have to learn how to take very quick decisions, quite continuously and without fear of making mistakes but knowing that is likely you will make them, so it is very important to rectify fast when you’re wrong and to swallow your pride. The second thing that is difficult in high-growth companies is that people who are completely valid and very good when you have 30 employees, may not be so when you become a company of 300 or 400. You suffer when you have to make a decision of this kind because it’s usually people that you have worked with for many years and in a close way, and as humans we all have feelings. And perhaps the hardest thing to control is the level of commitment, of employees wanting to be in the company and feeling part of it. This is something that is easy to control when you start and have fewer than 50 employees, but that becomes quite complicated as you grow. Last year you raised $100 million from a wide variety of investors. Why so much money? Mostly for acquisitions, R&D, for the company to grow faster and especially for our IPO. When do you think Scytl will IPO and become a public company? We’re not in a hurry but the idea we have is to go public in 2017 on the Nasdaq stock exchange. We have hired a CFO that comes from the US, a financial controller with experience in IPOs and we are preparing the company at an internal level for that kind of event, which means changes in accounting, reporting and in other areas. Now that you’ve began the process of becoming a public company, is the process as expensive (monetary or not) as you first anticipated? What’s expensive is to create the internal infrastructure to start trading, such as reporting, which is very complex. The Nasdaq is very demanding when it comes to internal control systems, much more demanding than other markets such as Alternext or MAB. 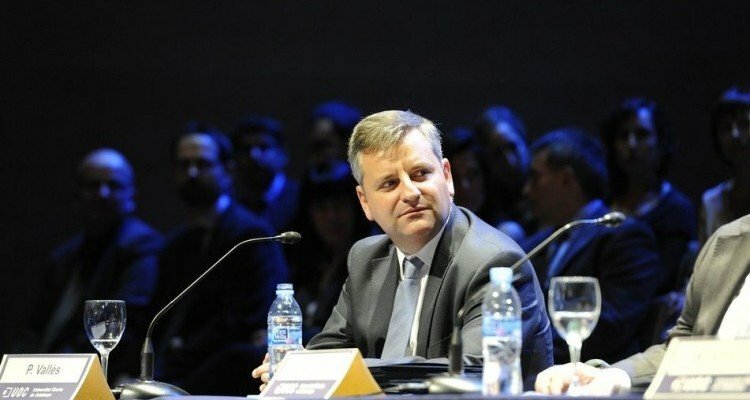 Although the cost is high, we believe the Nasdaq will be the market where we will have a better valuation for various reasons: because we are leading a worldwide market (we are a category leader) and because we believe that software businesses are often better understood and valued in the US than in Europe. How’s the business doing? Last time Scytl disclosed any numbers you had $63 million in revenue and a profit of $23 million. Since we completed our latest round we have been asked not to publicly disclose any figures, but the business is solid and going well. This does not mean that we don’t face any business challenges, because we do. But what we have in front of us is a huge market opportunity, with rather weak competitors and very significant growth rates. The average historic growth of our business has been 70% annually. If you look at software companies that have gone public on the Nasdaq in recent years, you see that most do an average of $80 million in revenue per year -which is not that much-, with growth rates of 35% and not profitable. We will be much larger than that, we have a greater average growth rate and we are also profitable. And then there is another thing that the market values greatly: that we are the leader in our industry. When a company receives an investment of such size, does it change internally and does it affect its performance or culture? And if not, how do you control that? The truth is that no, that Scytl has hardly changed internally since the latest funding came in. What you have to do as CEO when you receive so much money is to maintain financial discipline and to control the level of spending. One of the reasons why we have received so much money is because we grow very fast and we are profitable, and we want to try to maintain these two things. Andreu Riera: how does a company overcome the tragic death of one of its original founders? From a personal point of view it was a traumatic event. I had been working with him for two years and we had become good friends and coworkers. He was an extraordinary person because he was also very down to earth and it was very hard to disagree with him. He died in a car accident on a Friday night when he was driving to Manresa after work. I remember I got a call on Saturday morning and it was a huge shock. He was a young, vital, energetic, and for the people who were in the company at the time it was a brutal blow. At company level the fact is that Andreu was already building his second company, because he had a very entrepreneurial mindset. This does not mean that he was not linked to Scytl in any way, because he was still the chairman of the board. It was a great loss at a personal and even at a country level. Finding a person of his character and abilities is not easy. You’ve been involved with Barcelona’s technology sector for more than 10 years. How has the industry changed and what’s your opinion on the way it has grown? I look at it with great optimism. In 2004 there were very few technology companies in Spain, perhaps less than 10 with real potential. I remember telling people that I was going to start working at a startup and people thought it was a very exotic and different thing, which still holds true today to some extent. Fast forward 10 years and in Barcelona alone there are over 300 startups, some of them very interesting, and there is more money than ever before. We are creating a very powerful ecosystem and Barcelona has the potential, if things are done well, to become a technological hub in Europe. Maybe not at the level of London, but it can compete head-to-head with other cities. Since you’re a company deeply involved with elections and electoral processes. What’s your take on the 27S elections and the possible independence of Catalunya? Assuming that businesses and entrepreneurs are often reluctant to share their opinions and look to avoid at all costs to hurt anyone, the problem with this question is that if we were a company that sold goods to other parts of Spain or the world I could have a clear opinion that I could share from a business point of view. While being cautious, I could share my opinion. But when you’re in the business of elections you can’t. We have an internal rule that is ‘zero politics’ and we can’t say anything in favour or in opposition to these kind of topics. We provide the technology for this kind of events and we have to be extremely neutral. And we are. Not only in Spain, but also in the US and in other markets where we operate and are leaders. The perils and promises of online voting: can the ballot box ever truly (and safely) go digital in Europe?